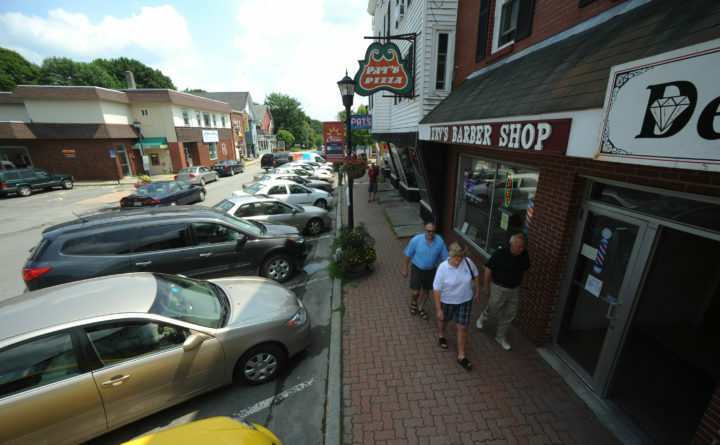 People walk own Mill Street in downtown Orono in this 2011 file photo. Orono’s town charter hasn’t been changed in 50 years, but this March residents can vote to update it. If they approve the changes the town council has in mind, voters could go to the ballot box less often to weigh in on spending decisions, but it could become easier to force a townwide vote to reject a town council decision. The town council has voted unanimously to send eight proposed changes to the charter to the ballot for voter consideration during the annual municipal election March 12. The charter is the town’s primary governing document that lays out how town government operates. One of the most significant proposed changes would raise the threshold for sending town spending and borrowing proposals for capital projects to a townwide vote. Currently, the town’s charter requires that voters weigh in if the spending or borrowing proposal is at least $100,000. The charter amendment would raise that amount to $500,000. Councilors have proposed the amendment because the lower amount had not been adjusted for inflation in 50 years. Another noteworthy change would reduce the number of signatures needed to override a town council decision or enact an ordinance by public initiative. If changed, the new town charter would require only 10 percent of voters who cast ballots in the last gubernatorial election to sign a petition asking for a townwide vote, as opposed to the current requirement of 10 percent of all registered voters. In the 2018 election, Orono had 9,844 registered voters, but 4,447 voters cast ballots. By effectively lowering the number of signatures required to force votes on overturning council decisions, Orono residents could gain more direct control of their local government. Other proposed changes to the town charter include organizational changes, such as adding two associate members with limited power to the Board of Assessment Review, allowing only permanent residents of Orono to serve on the town council and updating the charter to reflect that a local Department of Education no longer exists. The department ceased to exist when Orono became part of Regional School Unit 26 about a decade ago. Gender references and grammar may also be updated to reflect current standards if voters approve the changes.